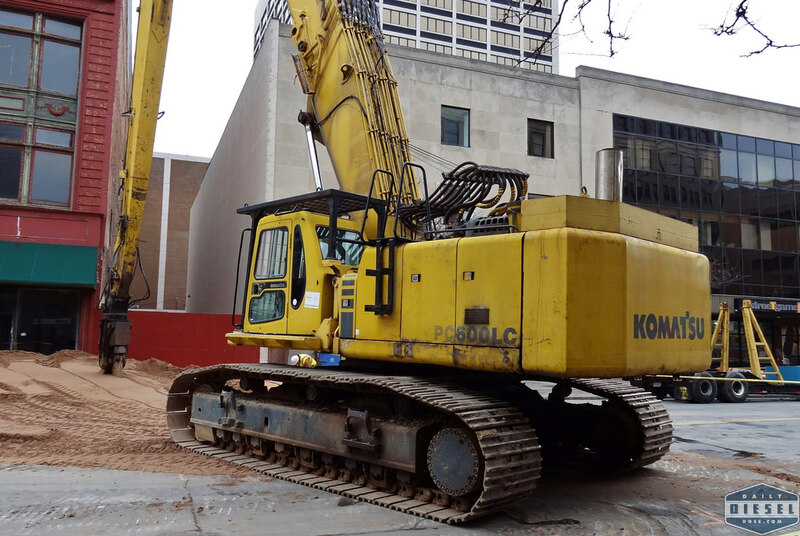 I arrived to the demo site right around 8AM and found the Komatsu PC600LC completely assemled and ready for work. 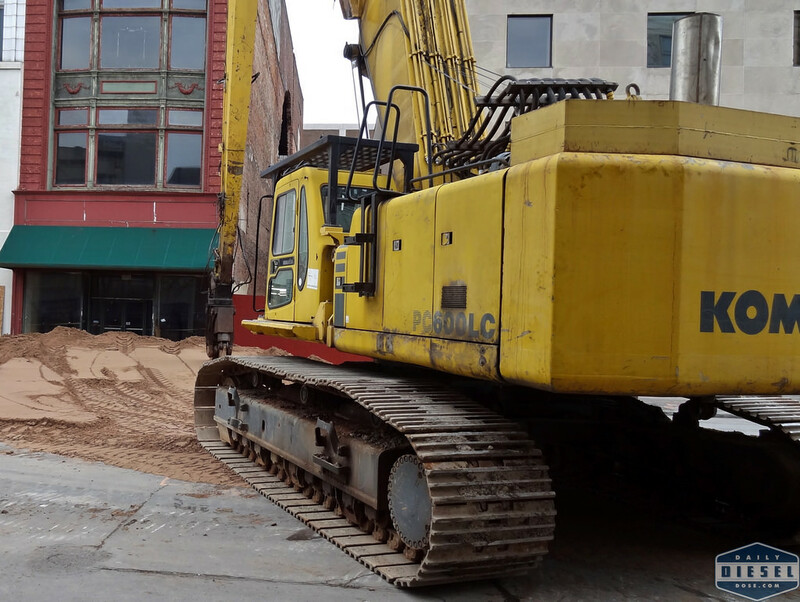 The demo crew was busy spreading a hill of sand across the street and sidewalk to protect it from falling debris and to later serve as a ramp. There were plenty of people on hand to watch along with nearly every local TV station. 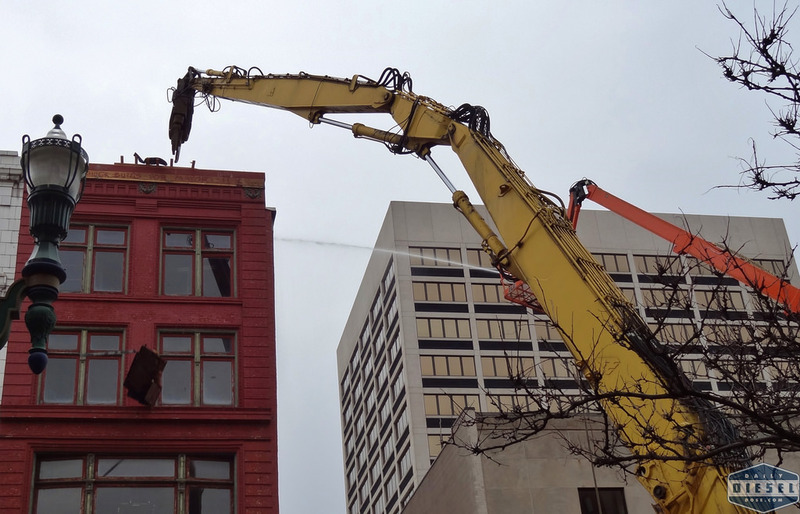 Soon the big Komatsu rolled into place and began tearing the 100+ year old building down by slowly working left to right and back again like someone eating an ear of corn. 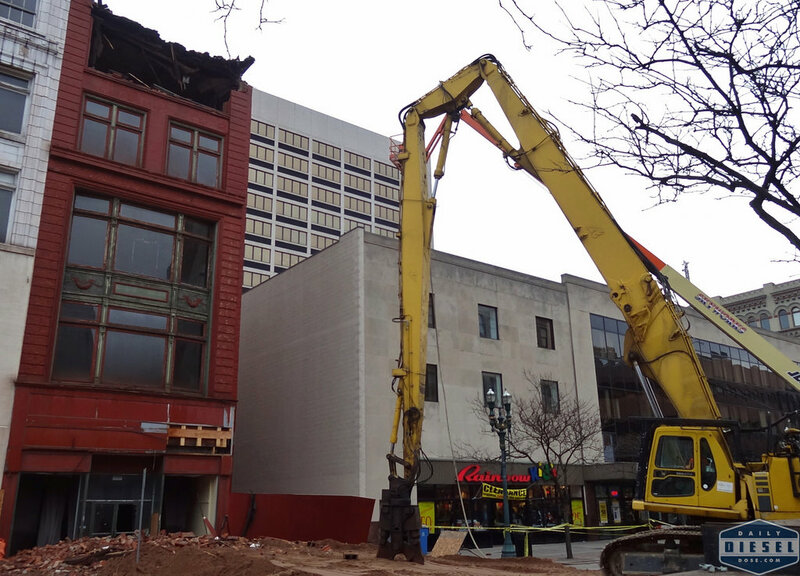 The majority of the demolished material fell within the building as the operator worked his way down the front facade. 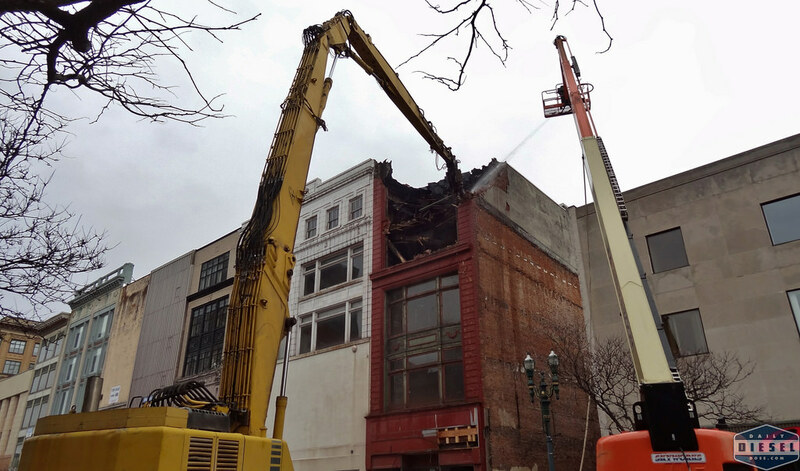 Photos from later in the day show the progress that was made. Below a video of various clips showing the ease in which modern steel and hydraulics can tear through wood and masonry construction. 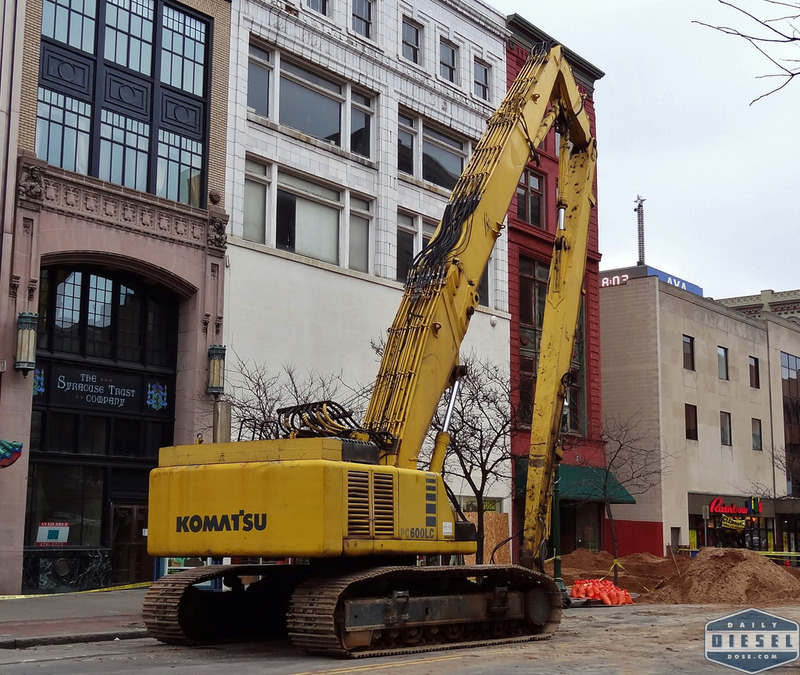 This entry was posted in Heavy Equipment, On the Job and tagged hogan building, komatsu pc600lc, ritter and paratore. Bookmark the permalink.